Business networking is about meeting people, telling your story, helping others, giving and getting introductions. Despite the fact that we live in the IPhone era people still like to meet up and talk and do business. If you can get a personal introduction to achieve a prospect it is much more powerful than trying to make contact with a total stranger and get an introduction. For people you know to introduce you to people they know they have to have faith and trust in you. Therefore you have to earn their trust by establishing yourself as a trusted supplier of your goods and services. Check out local area for any business networking groups and visit them. See who the other members are, check out if you joined would the members benefit from your participation, see how you can help first, establish your credibility, and then ask for business. Don’t attend, collect everyone’s business cards and email them, it is unlikely they will respond. An opportunity to get introductions to your dream prospects. The opportunity to present your business at every meeting to educate the other members on the benefits of doing business with you. Improvements in confidence and presentation skills. The chance to help other members by providing them with introductions to people you know, (Which you will only do when you trust them). 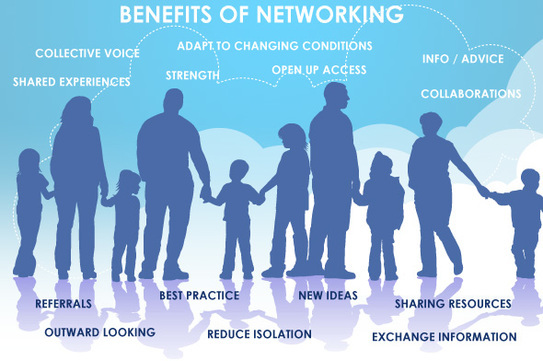 Despite the availability of all the communication apps people do business with people, and people like to meet and converse face-to-face with other people, that’s networking. All other aspects of digital marketing will play a part in how you promote your business, but ultimately if you’re going to do business with a new prospect you will end up in a face-to-face meeting, networking can play a part in getting you those face-to-face meetings. If you’re not part of any business network check out one in your local area and pay a visit. If there is nobody in the group specialising in your products or services perhaps it’s an opportunity for you to grow your business.